Please call 989-348-2951 for additional information. 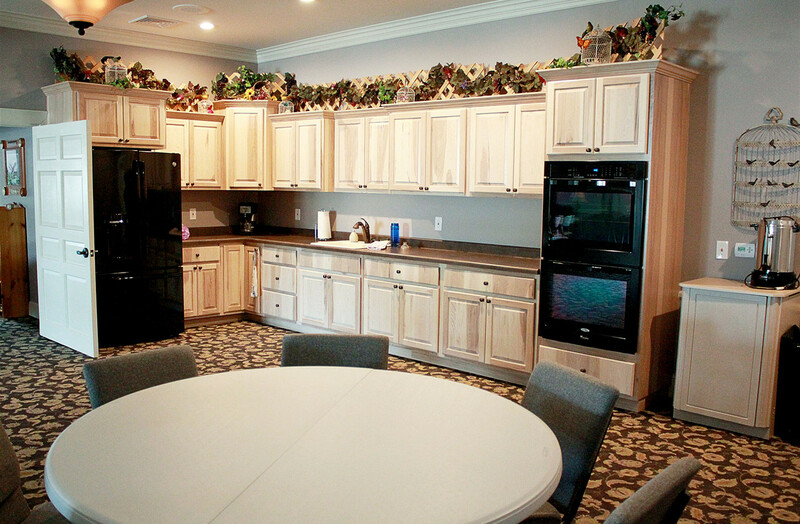 In 2014, we chose to do a total renovation and update of Sorenson-Lockwood Funeral Home for our community. A RECEPTION ROOM was a high priority in planning. Our goal was to provide a nicely decorated facility to meet the needs of memorial receptions, funeral luncheons, bridal and baby showers, family parties, civic meetings, birthdays or any event that celebrates life and memories. Our RECEPTION CENTER will accommodate 50-100 guests, has ample parking, and is completely accessible for guests of every physical capacity. We can assist with catering arrangements if desired.